This statistic illustrates the monthly house price index in the United Kingdom (UK) from October 2017 to September 2018. It can be seen that during this period the house price index in the UK increased from 117.96 index points in October 2017 to 121.97 index points as of September 2018. House price index is an important measure for the residential real estate market. It is used to show changes in the the value of residential properties in England, Scotland, Wales and Northern Ireland. 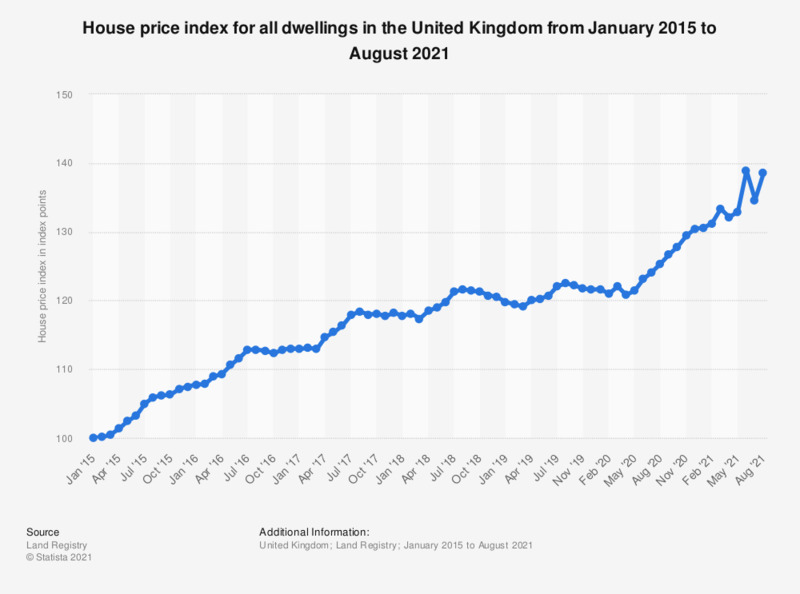 This upwards trend in house price index, and therefore the value of residential properties, has also been observed by other measurers of house price index in the United Kingdom. House price index is not seasonally adjusted. Everything On "Real estate in the United Kingdom" in One Document: Edited and Divided into Handy Chapters. Including Detailed References. Statistics on "Housing market in the United Kingdom"
What is the main reason you don’t expect to be able to buy a property?